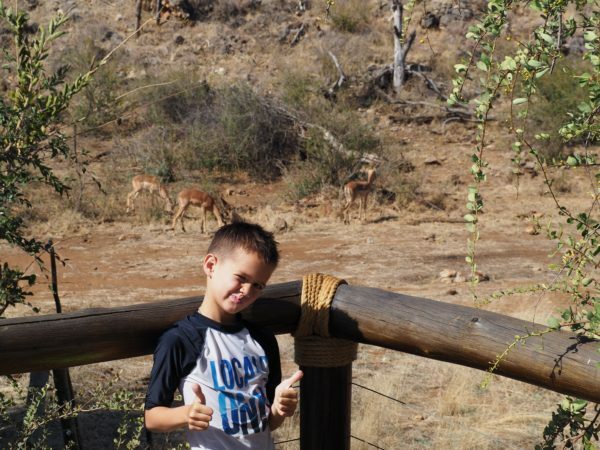 We have done and seen a lot of cool things on our various family vacations; and going on safari in Madikwe, South Africa was definitely one of our favorites. 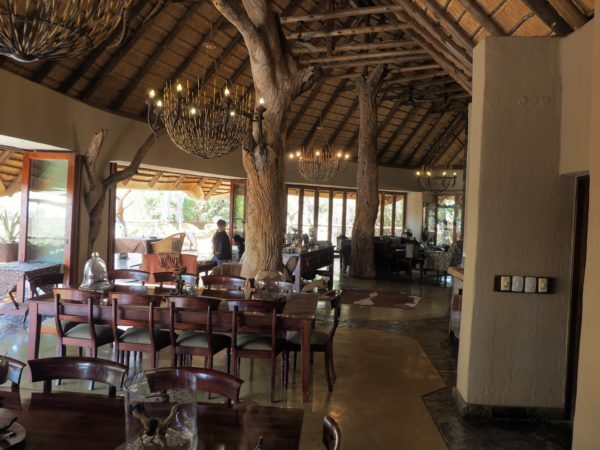 A five hour drive from Johannesburg (where we were staying with friends), Madikwe is a small game reserve on the border of South Africa and Botswana. There, we booked a three night safari at the Tuningi Safari Lodge, which couldn’t have been better in terms of the quality of the staff, accommodations, food, etc. 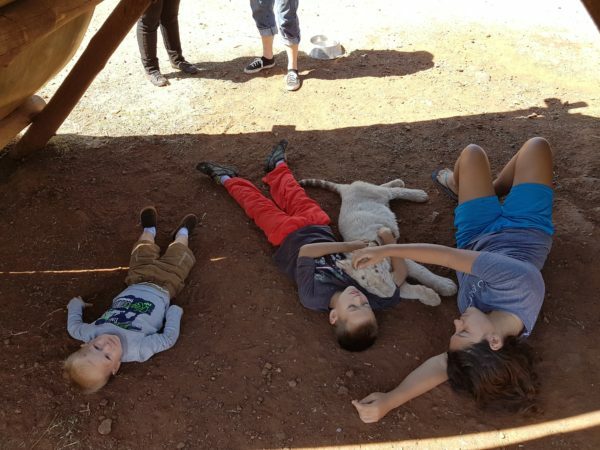 Tuningi was one of the only lodges that allowed children under the age of six. 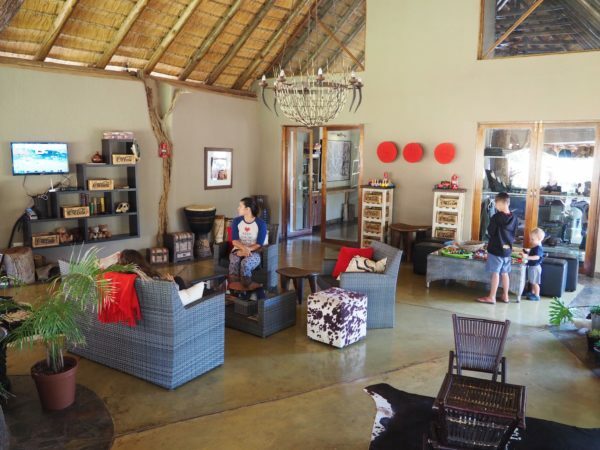 So Blake was able to join us, but had to stay at the lodge with a nanny while we went on our safari drives each morning and evening. 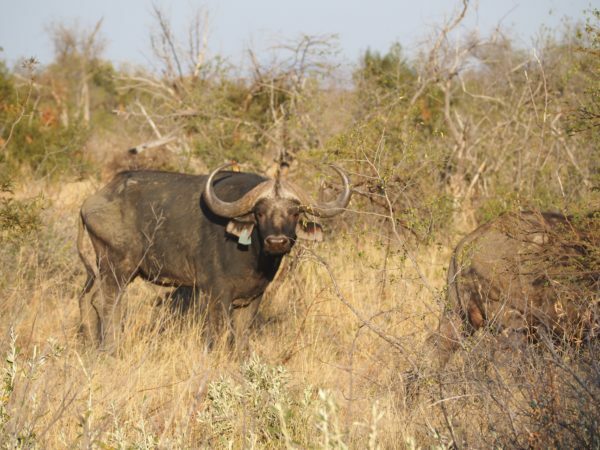 To be out in the bush and see animals in their natural habitat was amazing. 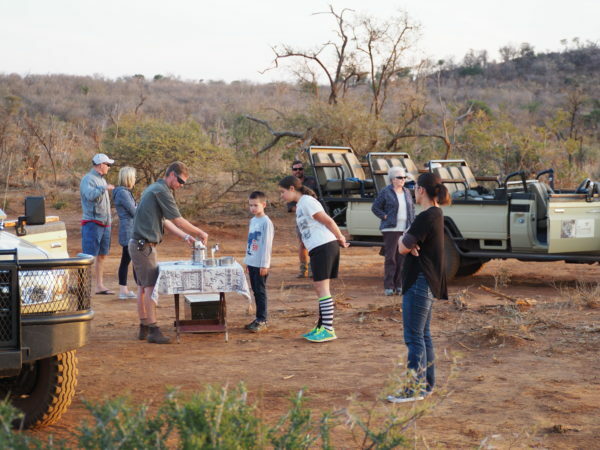 Mid-way through each of our twice-a-day sunrise/sunset safari drives, we would stop to have a snack and drink. The kids really liked having hot chocolate in the mornings and soda in the afternoon. The Rangers with us were like like real-life Crocodile Dundees in regards to their knowledge and ability to track down the wild animals. 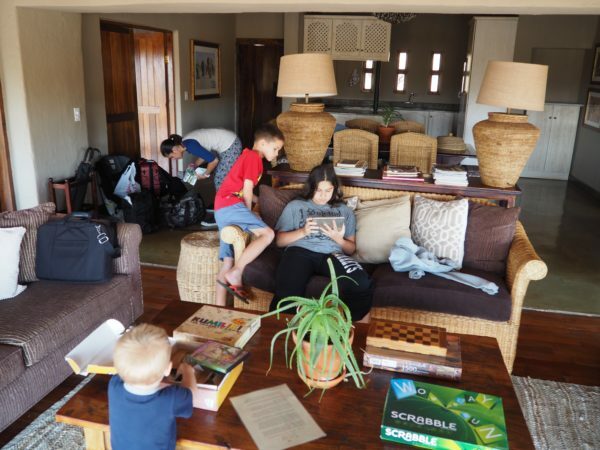 On our last day we still woke up for our morning safari and then finished packing before we checked out and drove back to Johannesburg. 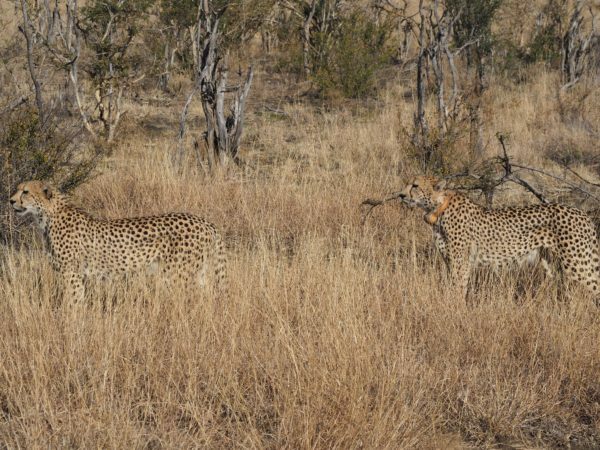 We not only saw the “Big Five” (lion, elephant, buffalo, rhinoceros and leopard), but were able to see cheetah and wild dogs (which, together with the Big Five, are called the “Magnificent Seven”). 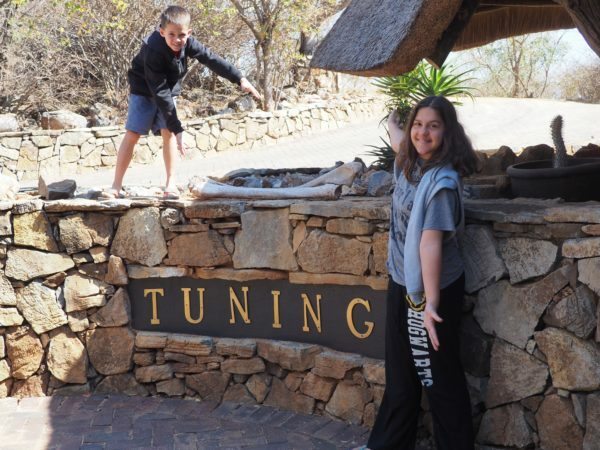 We stayed at Tuningi Lodge since they allow babies/toddlers. Other lodges would only take children six years old or older. Reception center. The chandlers are made with porcupine needles. Open-air kids center where there were movies, toys, and Wi-Fi. Our large villa was amazing and very relaxing. 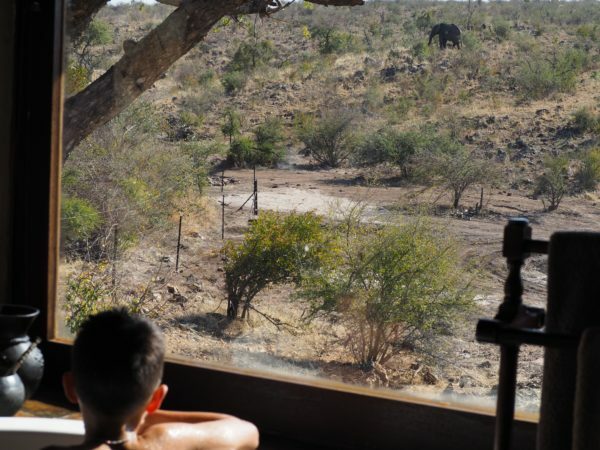 From the bathtub in our master bathroom suite Mason spotted an elephant outside grazing. 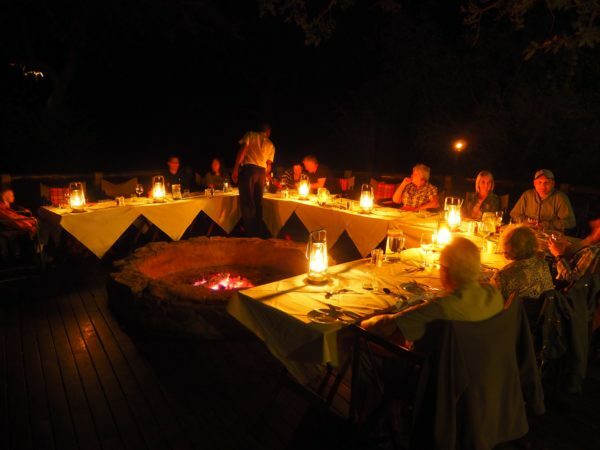 One night all of the guests had dinner outside near the watering hole. 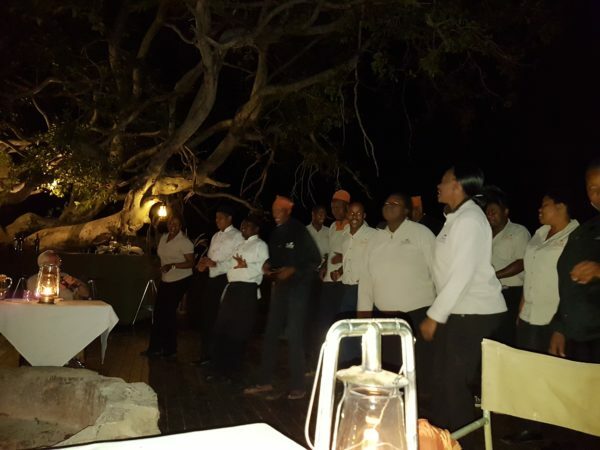 The staff at Tuningi sang and danced for us during the BBQ. 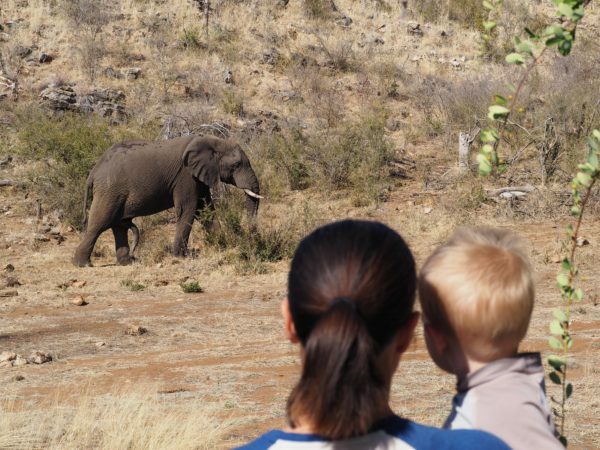 Blake and Tia watching an elephant pass by our lodge. 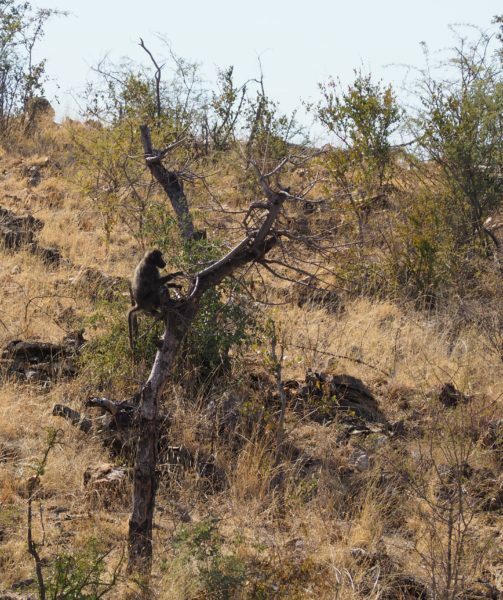 Baboons were seen from our lodge. 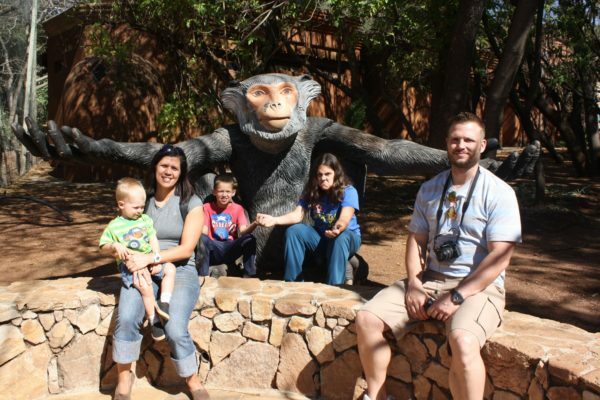 We were told a couple days before we arrived a bunch of baboons entered a guest’s room and stole some things. From the lodge swimming pool we found some impalas. 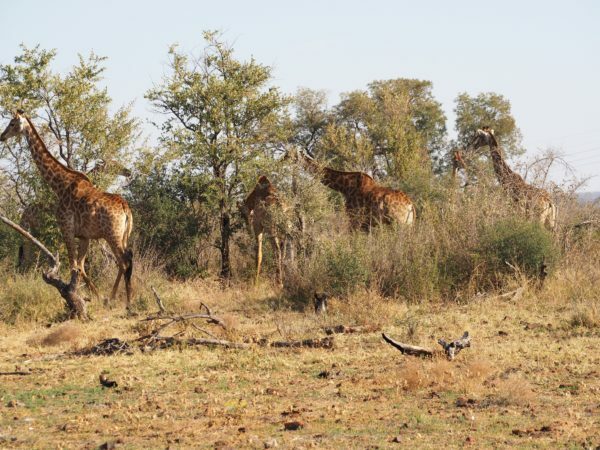 One of the highlights on each safari for the kids was to stop in the bush and have a snack. 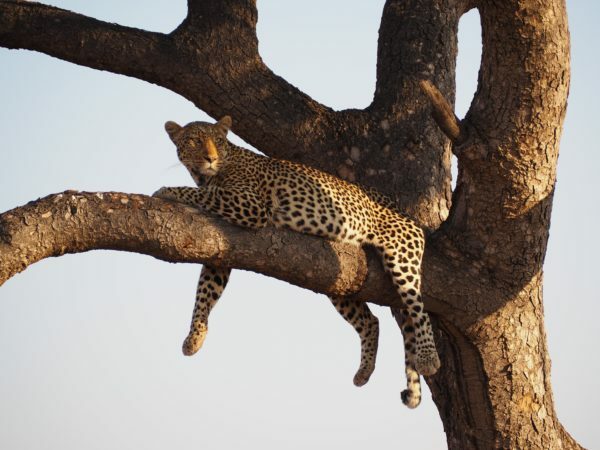 We were lucky enough to find the most elusive of the big five on our first day: Leopard. 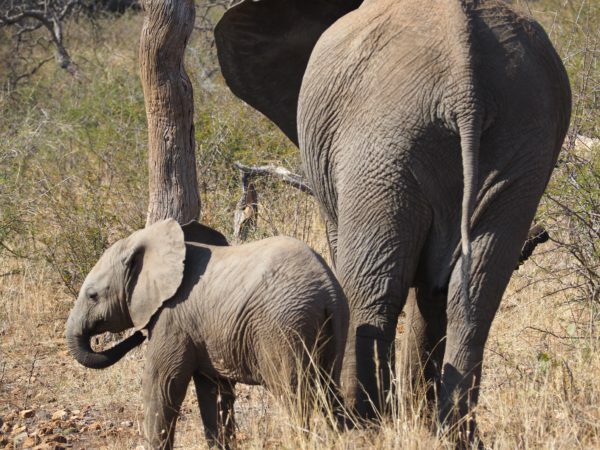 It was sweet to see this baby elephant with its mother. White Rhinos are pretty massive. 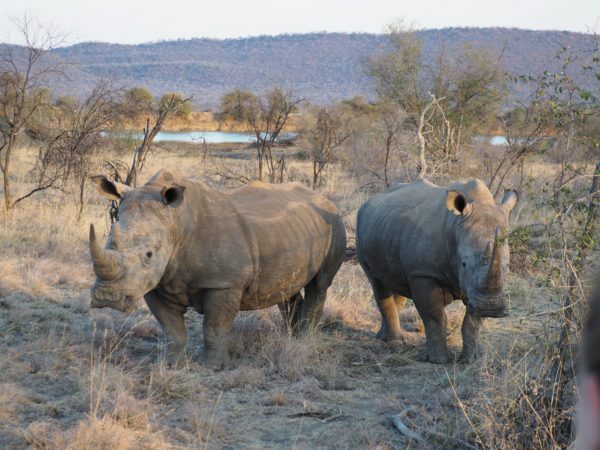 We were told that a rhino horn is worth $300,000-$500,000 each. 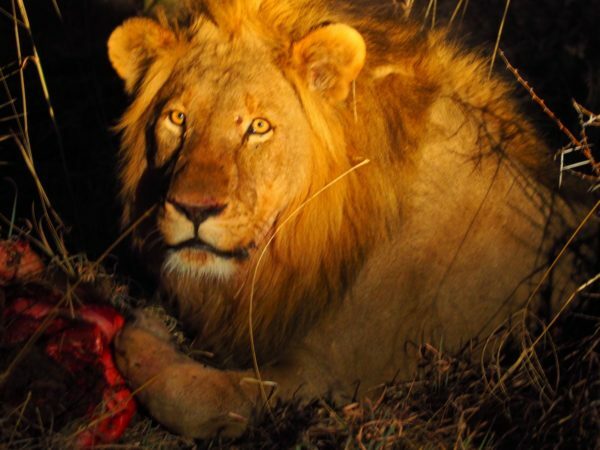 This male lion didn’t want anyone taking his meal. 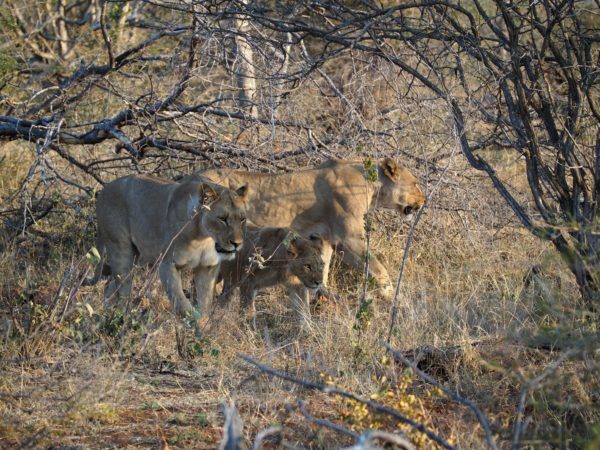 Our Rangers tracked paw prints and then came upon this lioness with her cubs. Cheetah brothers blend in perfectly to their habitat. 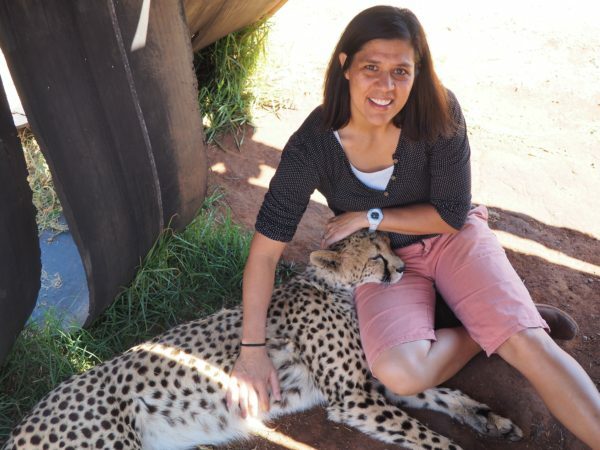 Only one cheetah wears a tracking collar since these two are always together. 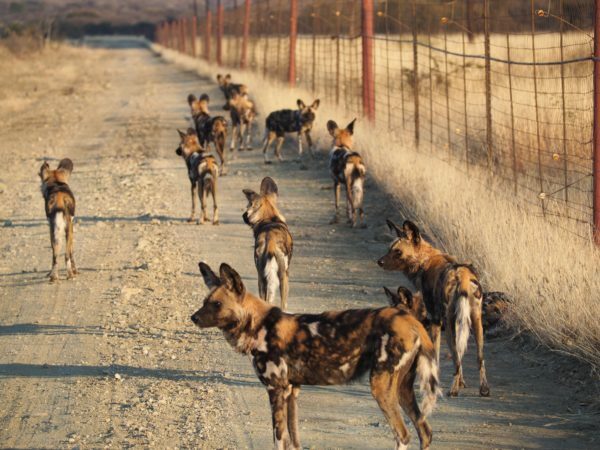 This pack of African Wild Dogs have learned to use the electric fence that separates South Africa and Botswana to their advantage when hunting. 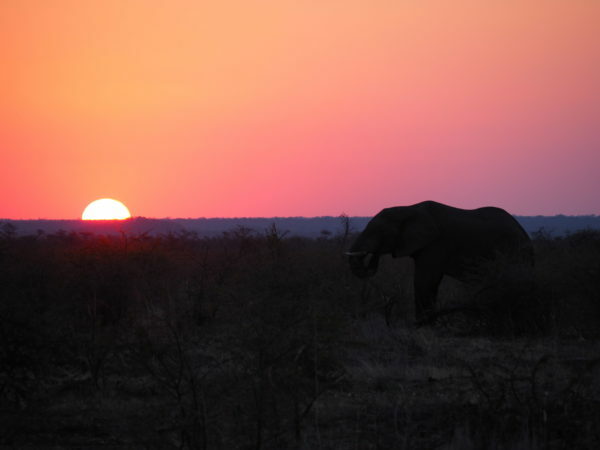 An elephant saying goodbye to another day. 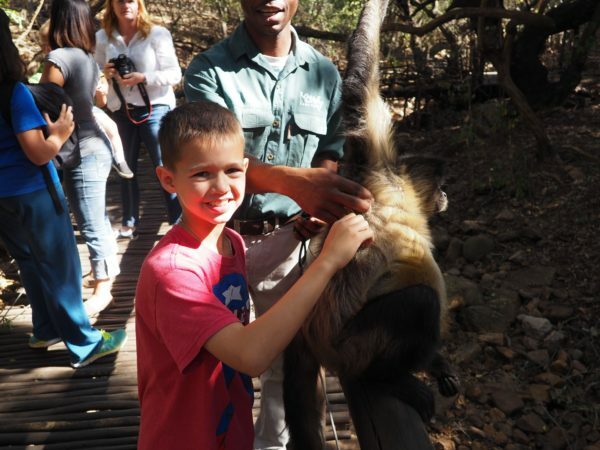 More photos of our South African safari here. 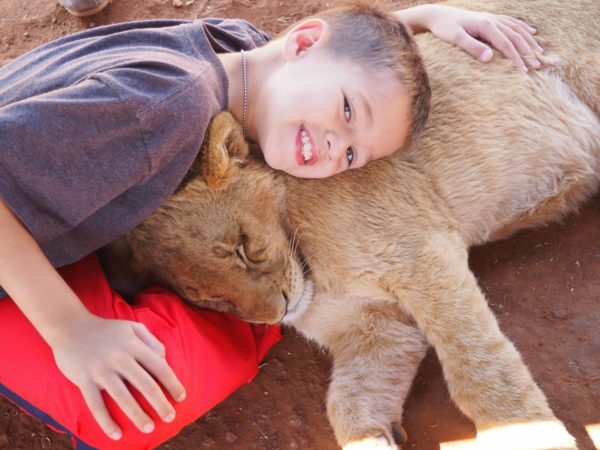 After our three-day vacation/layover in Turkey, we continued on to South Africa. At the airport, we actually had a little bit of a scare that we may not be allowed to board the plane. 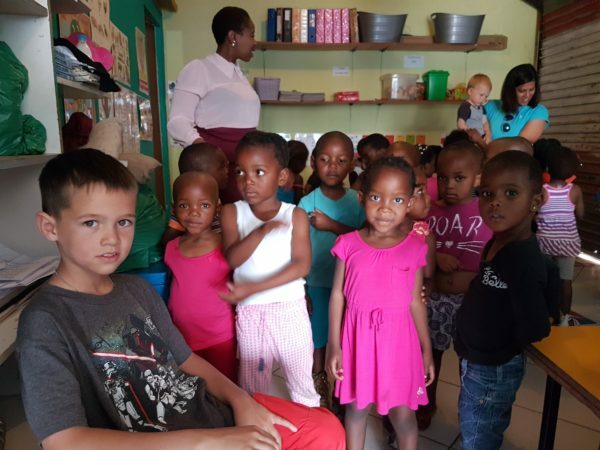 Children under the age of 18 must have their birth certificate with them when boarding a plane to South Africa and clearing immigration on arrival. Matt and I scrambled to figure out what to do since we were the last ones to board the plane in Turkey and didn’t have any birth certificates with us. Luckily I married a really smart and tech savvy guy. We have scanned all of our important papers and saved them in an online Dropbox account. So Matt was able to use his phone to get into our account, find the certificates and download them and show them to the gate agents in Istanbul, and then the Immigration Officer in Johannesburg. 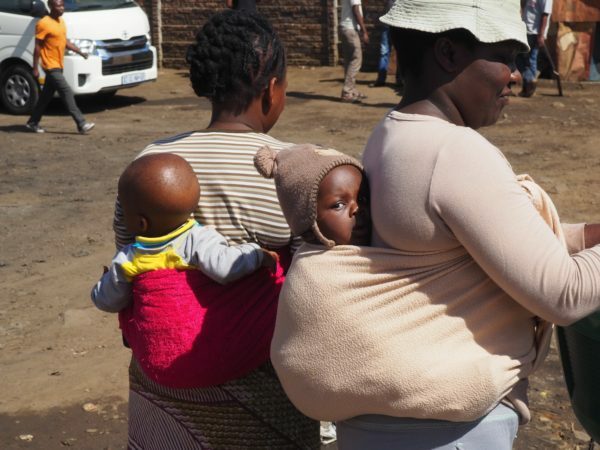 South Africa has taken this extra measure to try to curb human trafficking. So, with that crisis adverted we were able to meet up with our friends in Johannesburg! David and Jeana were fabulous hosts to us while we stayed with them for 10 days. We were close friends when we all lived in Manila, and now they had only been in South Africa for about six weeks before we arrived. So Matt found things on TripAdvisor to do and Jeana joined us on most outings since this was now her home. 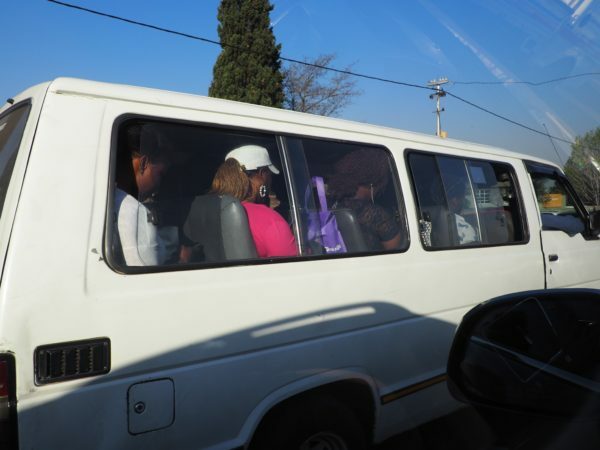 Driving around South Africa (on the left side of the road), we noticed these vans that are crammed with people as their local public transportation. The drivers of these vehicles, don’t follow traffic laws very well. 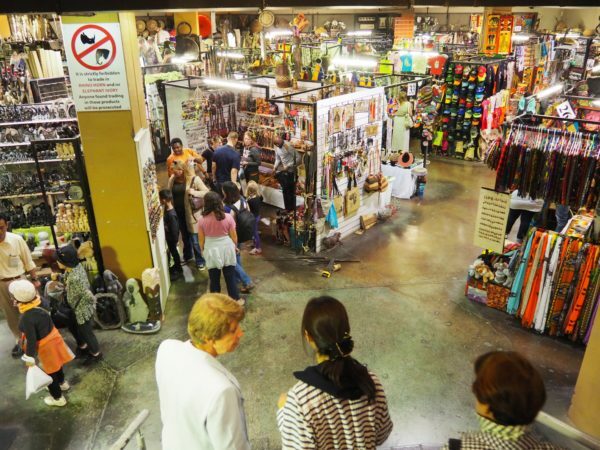 Our friend Jeana took us to a fun place to look for souvenirs where we could haggle down the price. It reminded us of shopping in Asia. 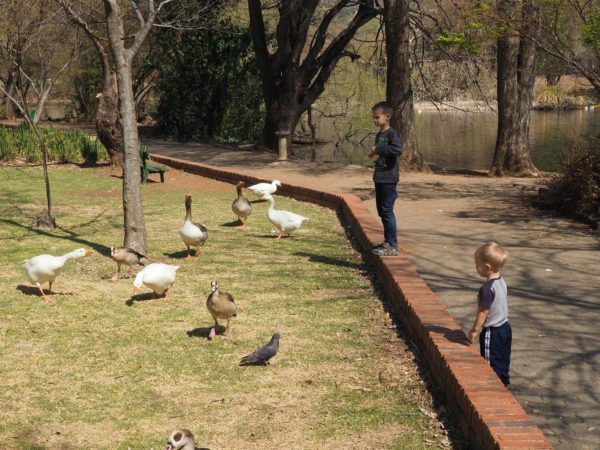 For lunch we ate at a park and the boys had fun feeding geese. 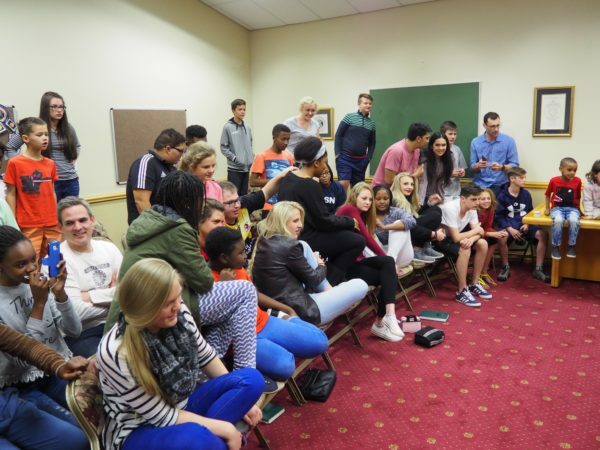 Both David and Jeana work with the youth in our church and they had their weekly activity on the day that we arrived. Since the activity was about “Snake Antivenom” we told them that we all wanted to attend. This shows about 2/3 of the youth crowd that was present…and notice feet off the floor since there were live (venomous) snakes down there! 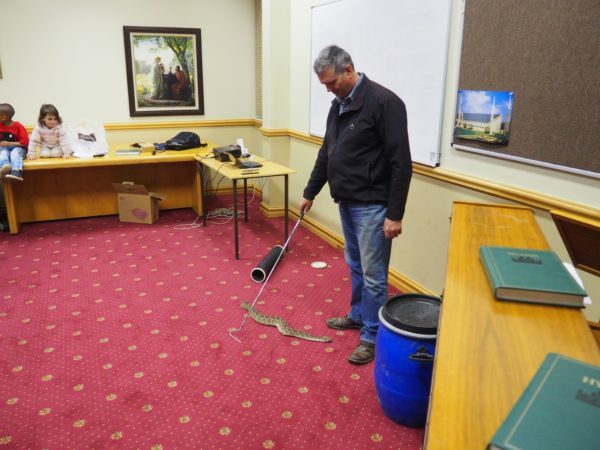 That would be a puff adder on the ground of our church floor. Puff Adders are highly venomous! He also brought out a cobra and a python later. 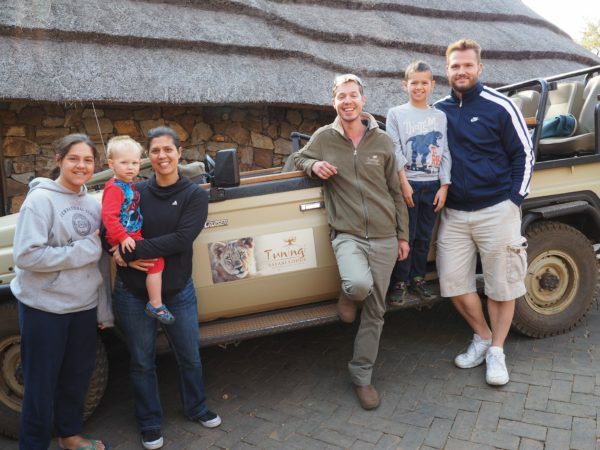 We headed out to the Rhino & Lion Nature Reserve where we had our first encounter with African wildlife. 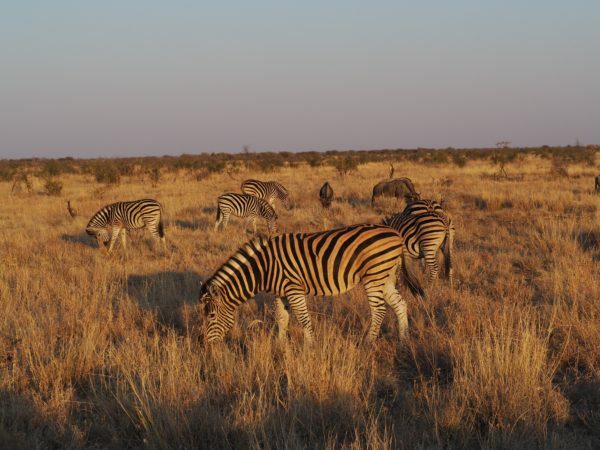 Zebras, ostriches, antelopes, etc. were roaming around the 1200 hectare of land while we drove to the parking area. 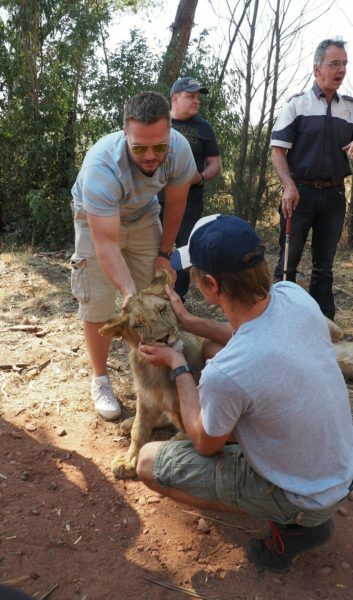 We got to play with some lion cubs that were a couple of months old. 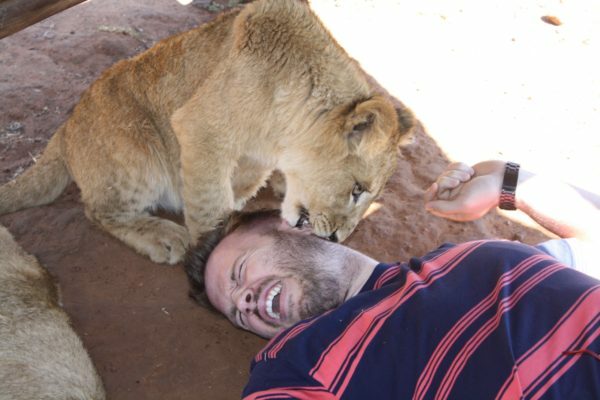 This cub decided to nibble on Matt’s ear! We also got to play with Bengal white tigers that were a couple of months old too. Blake was more interested in playing in the dirt. 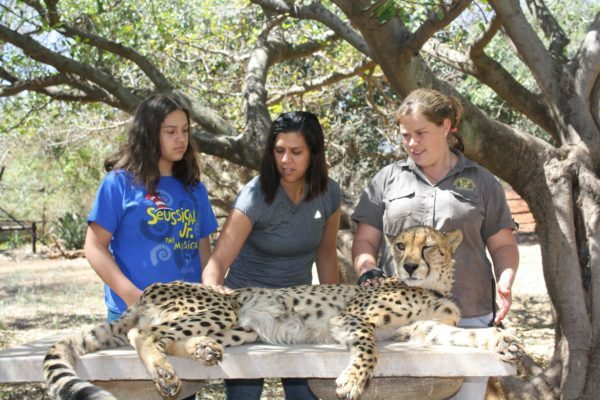 A two year old female cheetah was very docile, but only adults were allowed to enter with her. 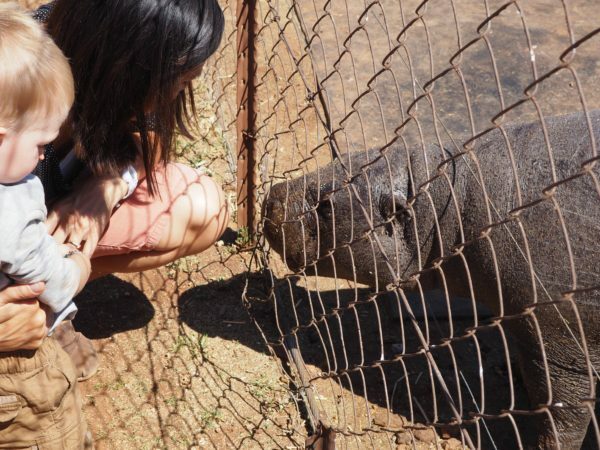 We found a pygmy hippo that looked a little strange. 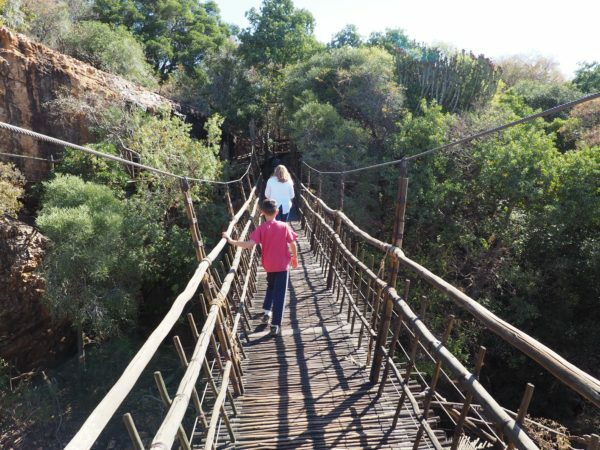 Only one way in and one way out of the “Wonder Cave” that is on the property of the Rhino & Lion Nature Reserve. 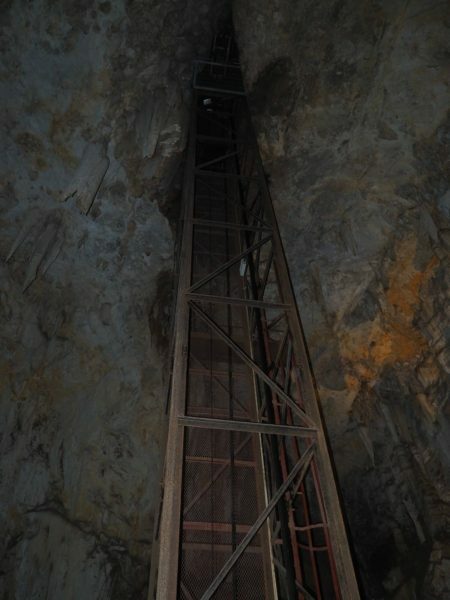 A part of the inside of the Wonder Cave. 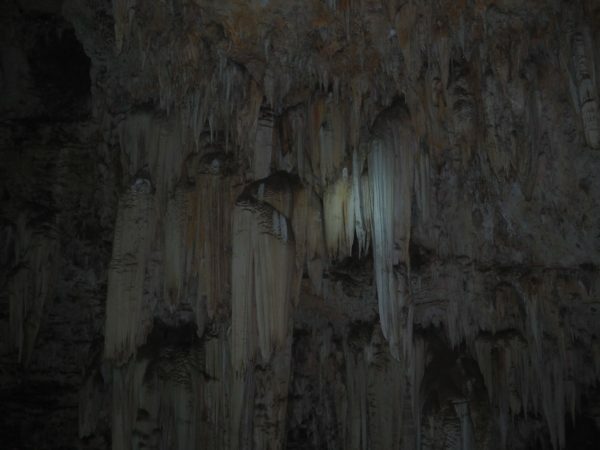 This is the 3rd largest cave chamber in South Africa. 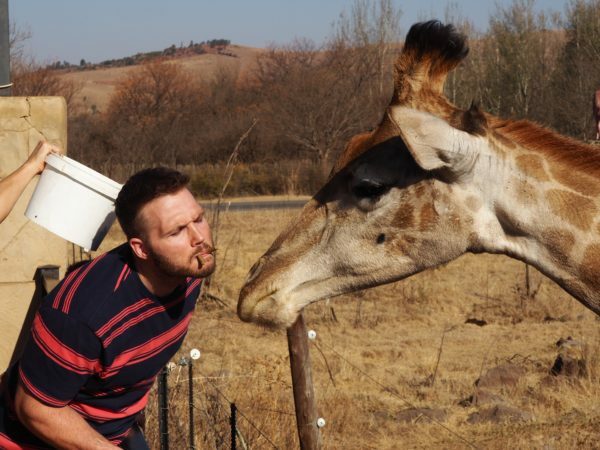 Matt has his own way of feeding giraffes. 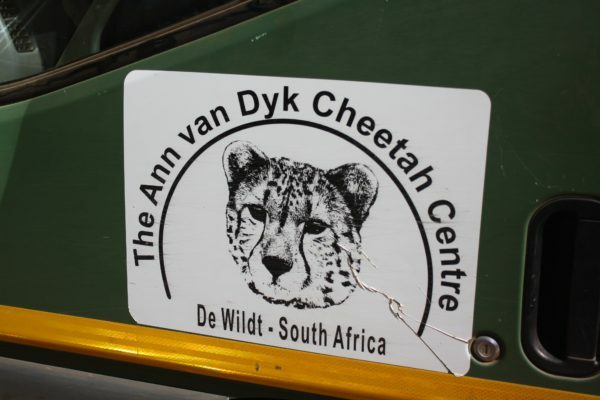 We drove out to Pretoria and visited The Ann van Dyk Cheetah Center where we learned more about cheetahs and other animals in South Africa. 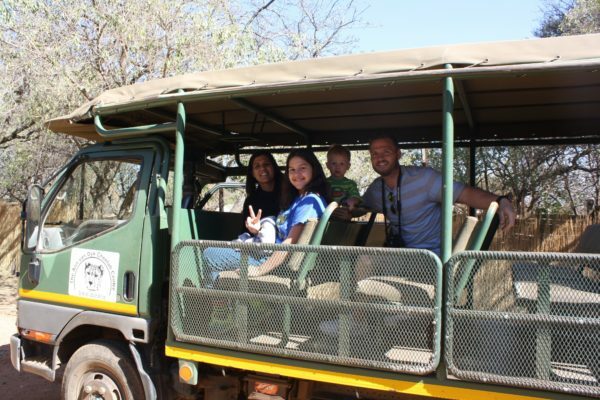 After walking around the grounds and seeing many different cheetahs, we got inside this vehicle and explored more of the center. 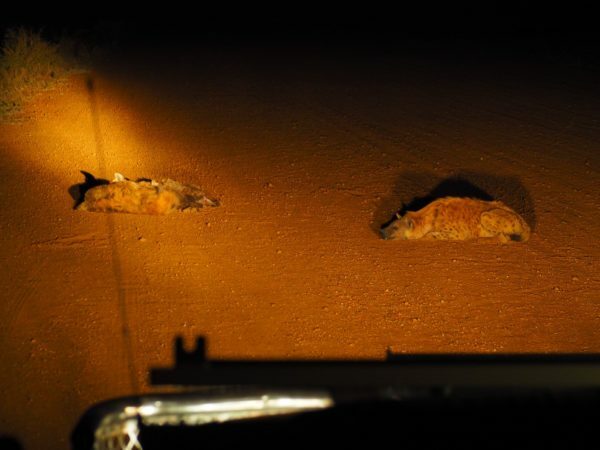 Meet Darth Kittius – an African Serval. 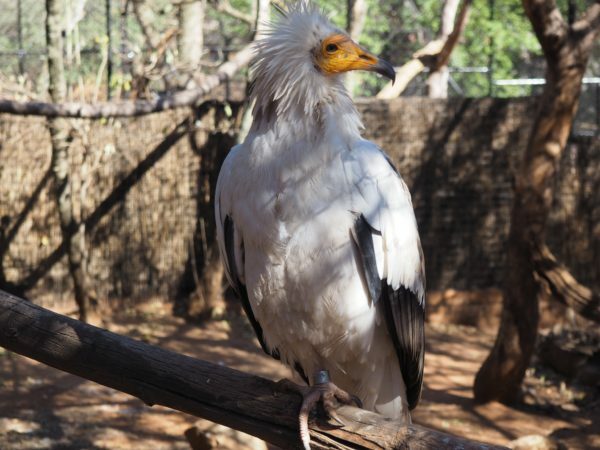 This Egyptian vulture and other vultures that help to keep our world healthy and clean. 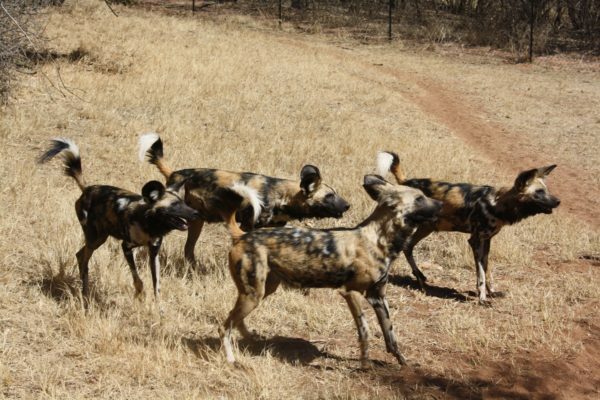 Wild dogs that hunt in packs and eat ferociously. 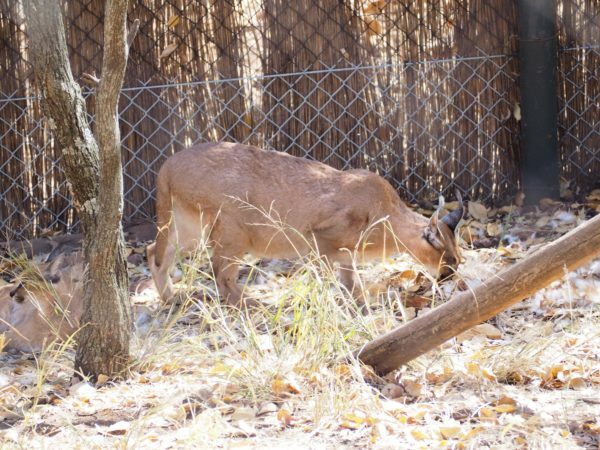 I was glad that we learned how cool wild dogs were before we went on our safari and saw some in the wild. 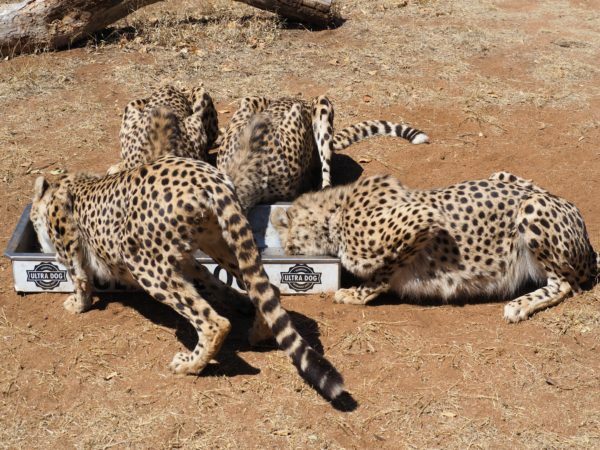 And we saw some cheetahs eating. 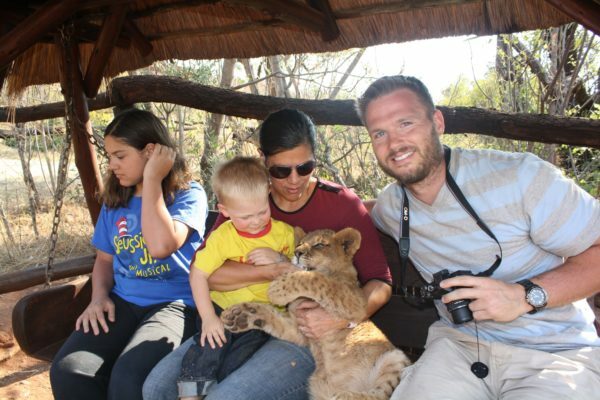 To end the tour we got a photo with this older cheetah that doesn’t mind children. 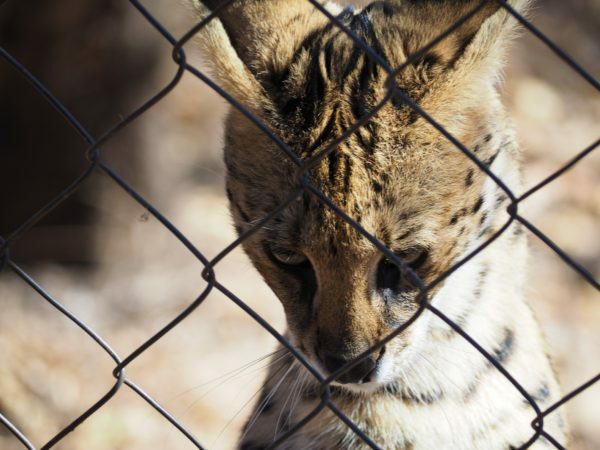 All of the other cheetahs we saw were eye-balling and stalking 2 year old Blake behind their cages. 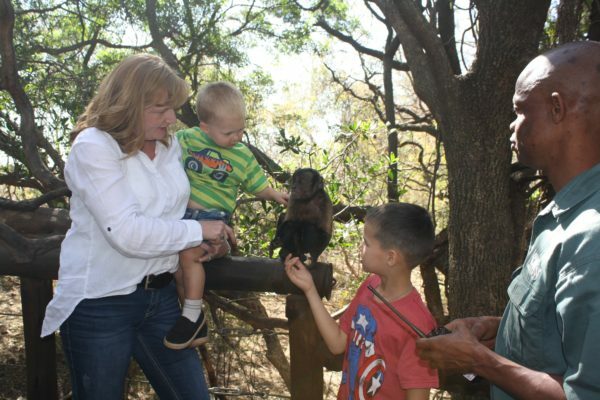 The Cheetah Center told us about a Monkey Sanctuary that was just a few miles down the road and we were all glad that we stopped and were able to have some monkey encounters. 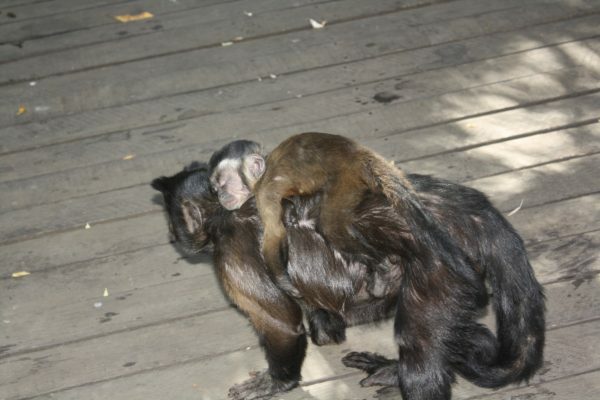 Many spider monkeys were there. These are the monkeys from the movie “Night at the Museum”. Right away this little guy came up to us and Blake thought it was pretty cool. 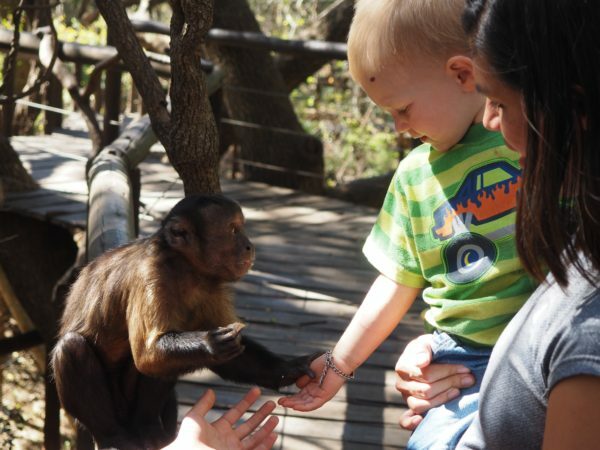 The monkey probably wanted to take Blake’s medical bracelet, but Blake said that he just wanted to hold his hand. Monkey looking for any valuables that might be in pockets. 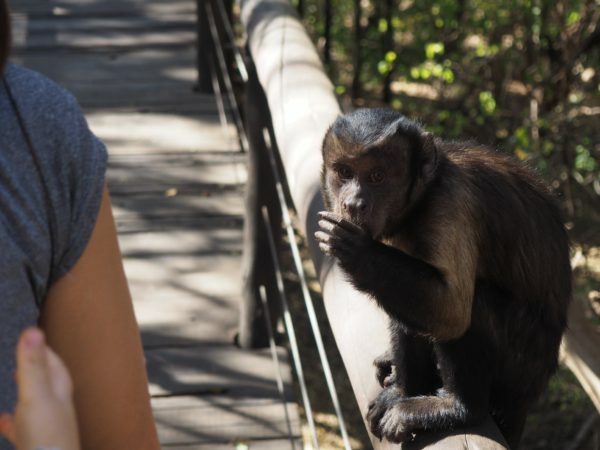 If you react because something is really important to you, the monkeys will run away with that item. If you just keep your cool and act like you don’t care, the monkeys know it isn’t important or valuable and then they don’t want it. We crossed a couple of these bridges at the Monkey Sanctuary. 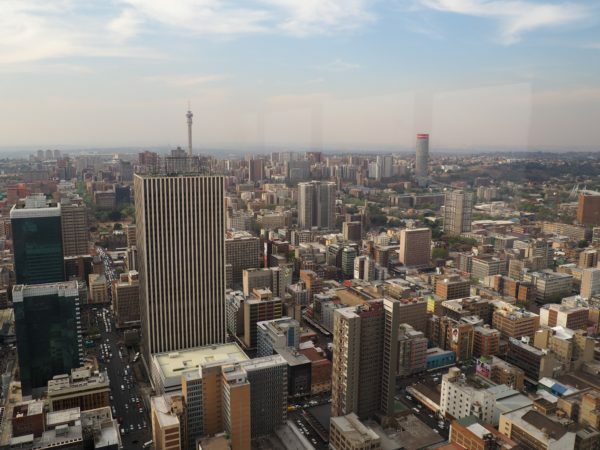 We did a day tour of Johannesburg. 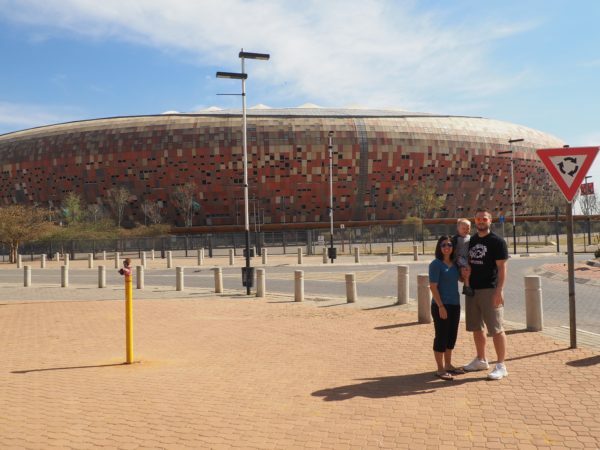 The first stop was the National Football Stadium. Opening and Closing ceremonies of the Soccer World Cup 2010 were held here. 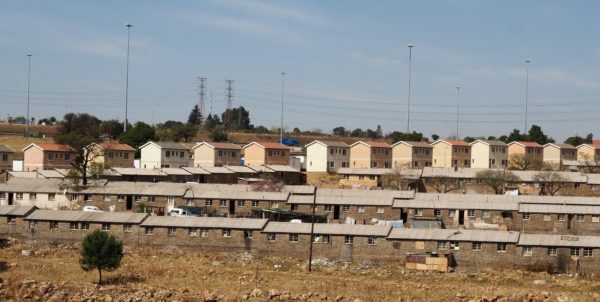 Government homes in Soweto – where Nelson Mandela used to live. 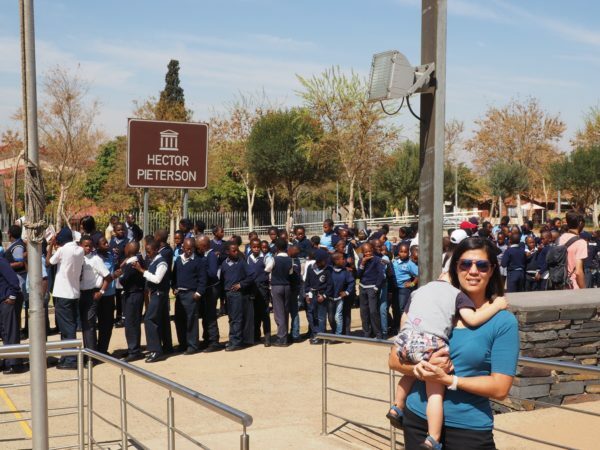 We visited the Hector Pieterson Museum and a lot of school kids where there visiting it as well. Hector Pieterson was a 12 year old school boy who was one of the first killed on June 16, 1976 by the apartheid police. 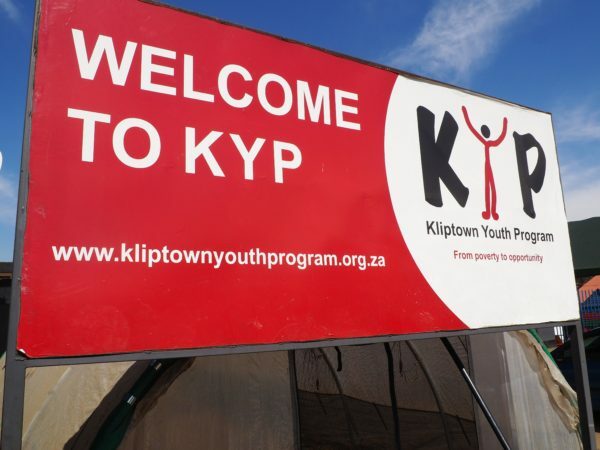 We got to visit Kliptown which is a slum village, but there are good people there trying to bring the kids out of poverty through education programs such as the Kliptown Youth Program. Graduates from KYP. 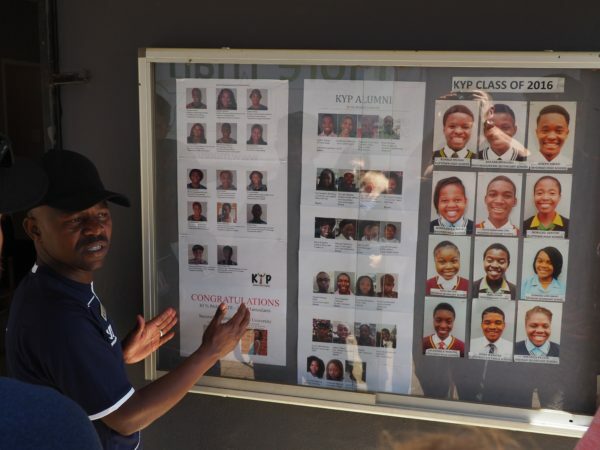 Through education they are making their future better. 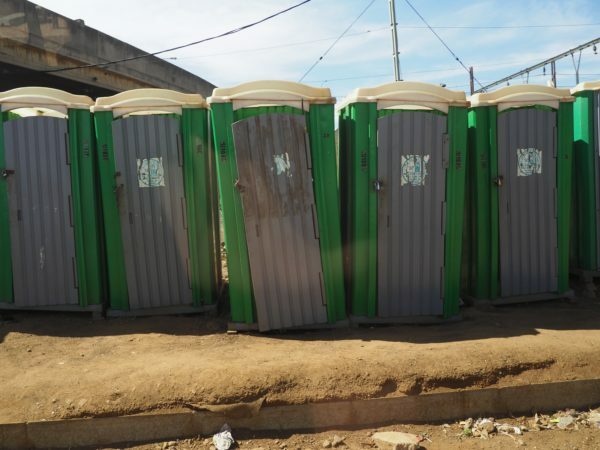 In Kliptown (and probable other areas) a couple of families share port-a-potty. They lock them up so you can only use the one that your family has the key to. The locals don’t need fancy name brand items to carry their babies. Just a long piece of cloth, like a towel or blanket. We had lunch at a restaurant between these two silos and the food was really tasty. 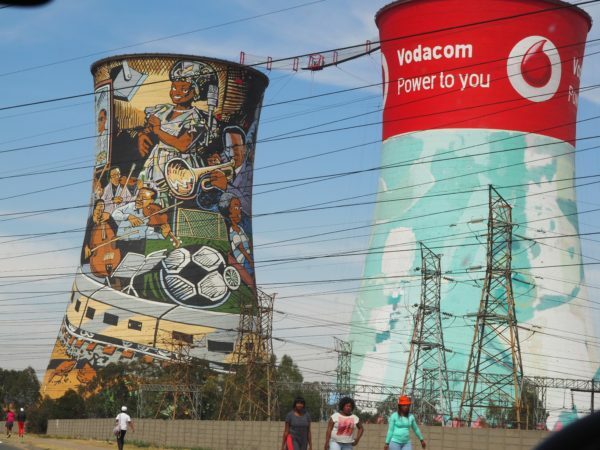 For the adventurous people, they could also bungee jump between the two silos. We went out on six safari rides in this car with this guide at Madikwe which is near the border of South Africa and Botswana. Separate blog post here. 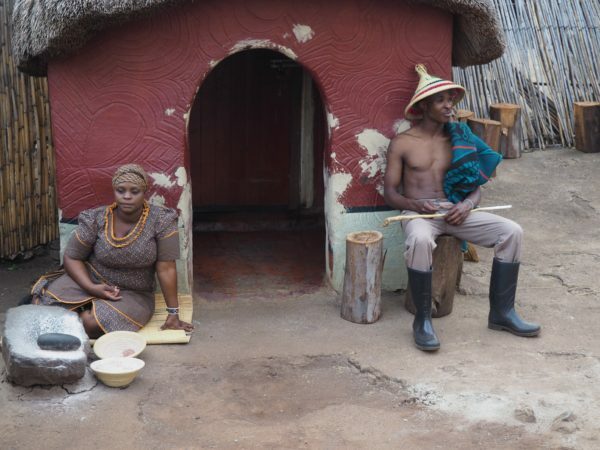 At Lesedi Cultural Village they have people dressed in traditional attire and share music and/or food from that tribe. 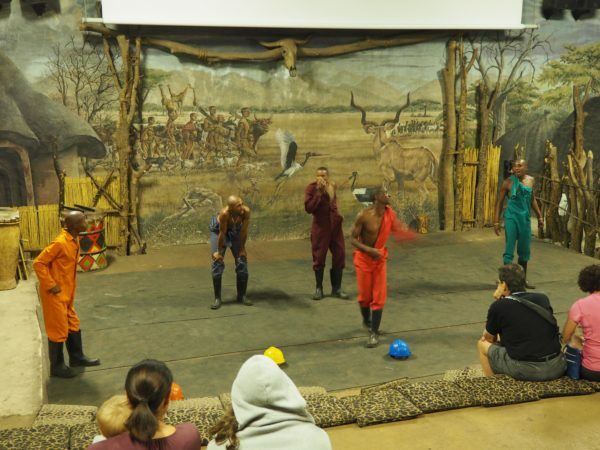 After touring the various villages, we all gathered inside for a music and dance performance that represents all the tribes of South Africa. 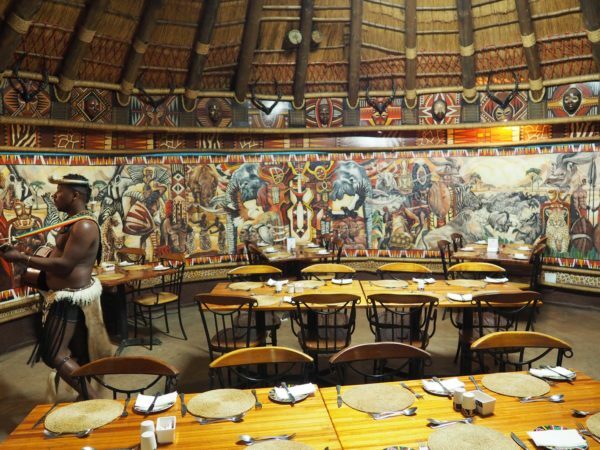 The end of our Cultural Night was in this room where we had dinner. The art was very colorful and the food was tasty. 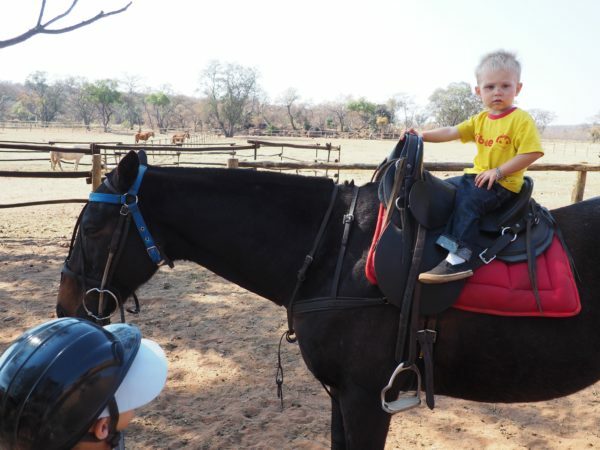 We got 2 year old Blake on a horse and he didn’t want to get off. 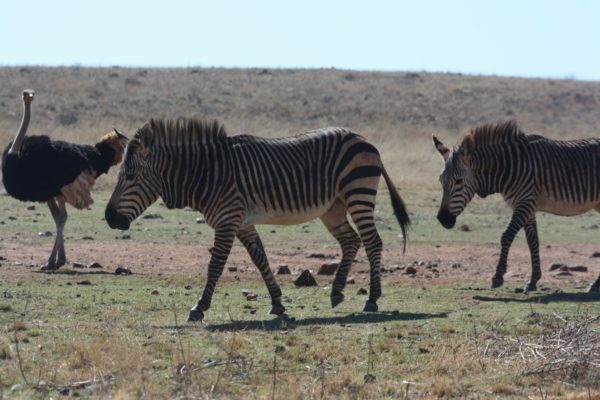 Our group had its own private guided tour on their property where we saw different animals like zebras, giraffes, waterbucks, and impalas. 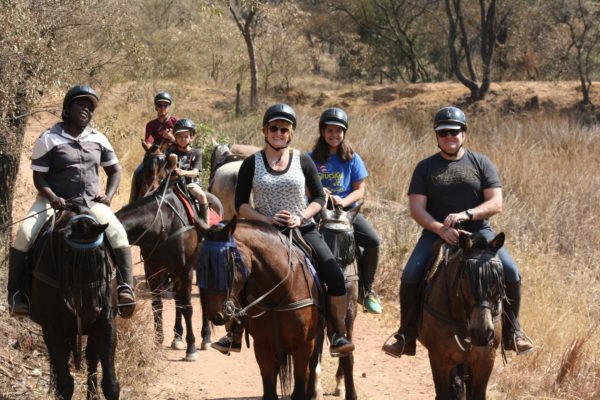 It was also the best horse riding lesson that I ever had. Our guide was very thorough and patient with all of us. 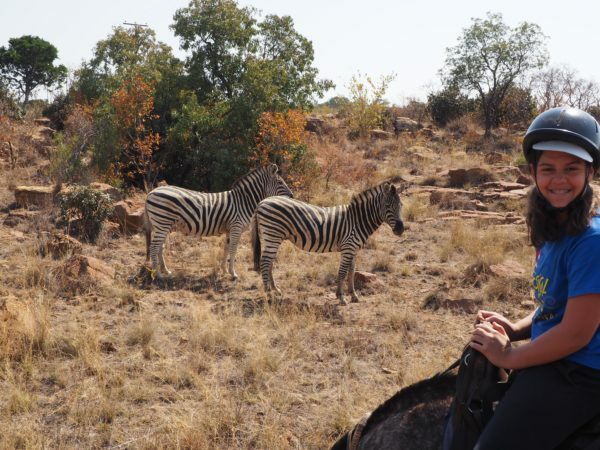 Because the zebras smell the horses, they don’t think that we are a threat, so we were able to get pretty close to them. 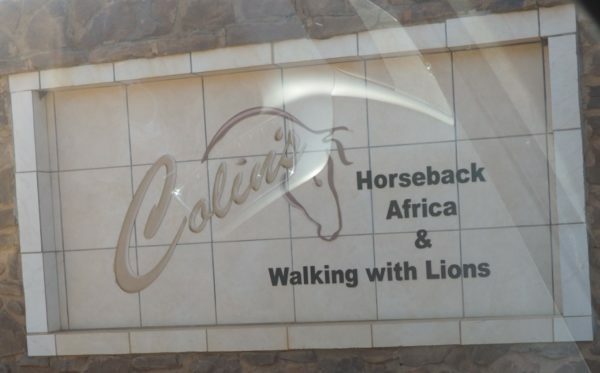 After a nice lunch and a lesson on how to act around lions, we were able to walk with a couple of nine month old lions out in the open. After walking the nine month old cubs, we got to interact with two month old cubs in an enclosed area. 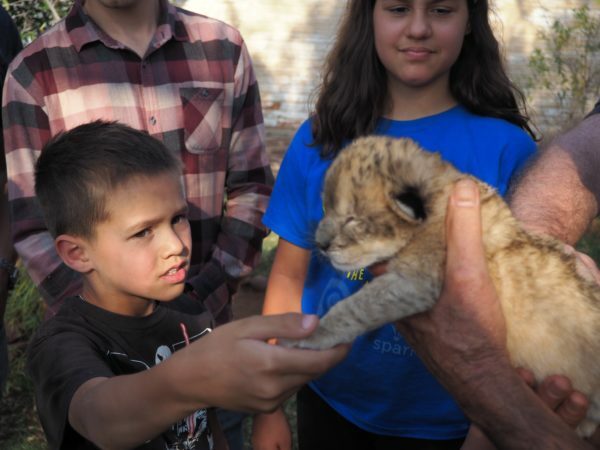 At the very end of our lion encounter, we were able to meet a one week old lion cub. Jeana volunteers at this school and we were fortunate enough to join her once before we left for the airport. 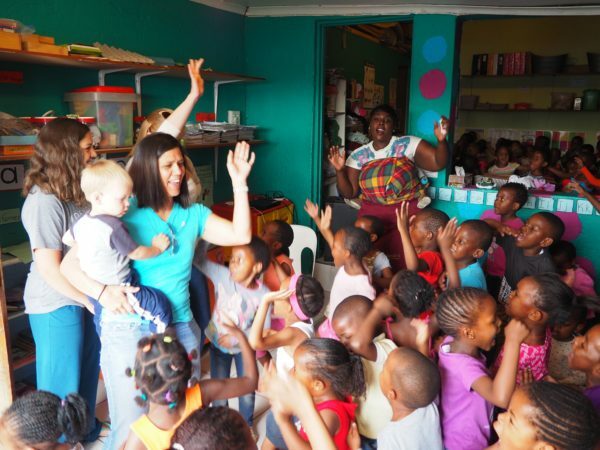 We sang songs and had a great time with the children. These kids love to sing loudly. 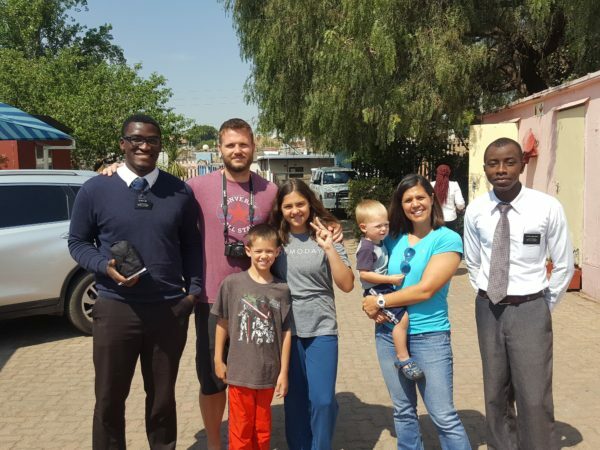 We ran into the missionaries who were across the street from the school. The missionary in the sweater is from Switzerland, so Matt was speaking to him in French. 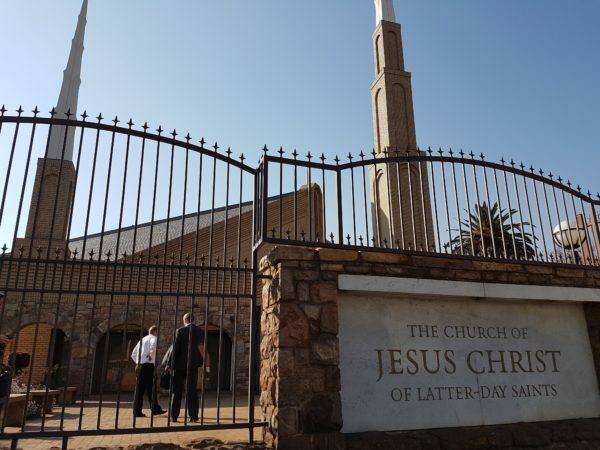 As we were driving to the airport, we made a quick stop to capture this picture of the LDS Johannesburg temple. 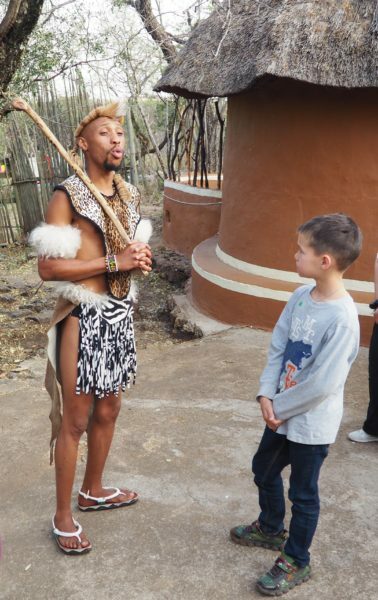 We had a great time exploring South Africa and reuniting with our friends. 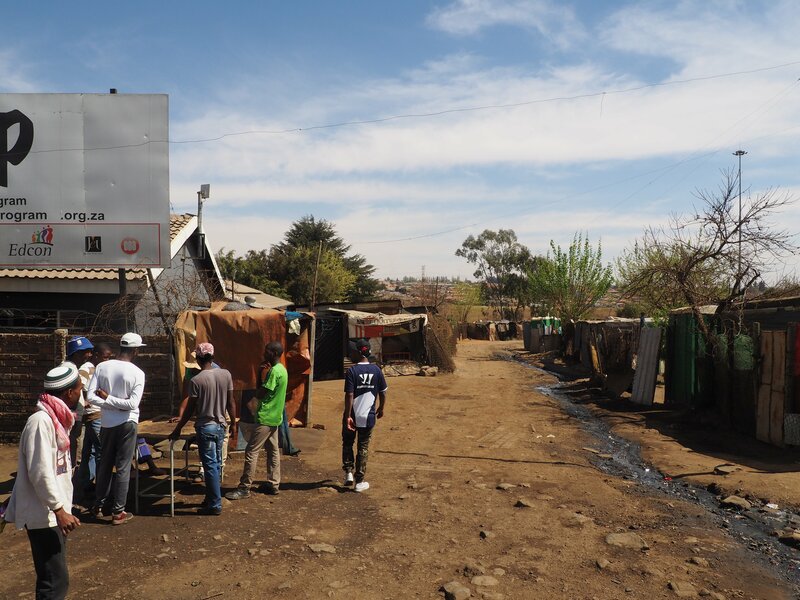 More photos of South Africa here.